Have you ever wondered why some people rave about email marketing and how much it helps their business, while others can't seem to get anywhere near the same results? In most cases, this comes down to your email marketing habits. Either you're doing it right … or you're not! This then allows you to send each segment information that is most helpful for them. Think about it… if you have all three categories of subscribers in the one list, you'll be trying to please everyone. Those with more experience may find your information too basic and unsubscribe. But if you were to try to please the more experienced, you would end up confusing those newer to the field. However, if you segment your list and send them information that is just right for them, they'll know that you understand them and their particular challenges and issues. This then increases the response rate you'll get. It's amazing the difference an email's subject line can make! In that example, the tests were performed for different businesses marketing to different industries and what worked for one wasn't necessarily going to work as well for someone else. You can't just guess or go with something you think sounds good. Testing is the ONLY way to know for sure which subject line is going to get you the best response for YOUR business. When you're speaking with someone, doesn't it feel nice when they refer to you by your name? Where relevant, including other personalisation is also good, such as a person's country or city of residence or referencing a product that they purchased from you or an event they attended. This is where having segmented your subscribers may be helpful too. Have you ever subscribed to someone's list and then found that all they send you is email after email promoting the next best thing? In fact, I'm guessing it came to the point where you either began deleting all their emails without even reading them or you even unsubscribed. You need to make sure that you're emailing a good mix of content – free information that is of value to your subscribers as well as your marketing emails. This free information will help to build trust, showing your subscribers that you care about helping them, not just making money. Sure, some will. But it's amazing the difference that it makes when you clearly and in no uncertain terms tell people what you would like them to do next. This is one of the best habits you can get into when it comes to email marketing, yet it's one so many people don't do… always check before you send! Check all links to make sure they're working and going to the correct page. Check who you're sending your email to and when. Send a test email to yourself to make sure everything looks good when it's received. This one habit will put you ahead of many of your competitors who don't do this. The problem is that the deliverability of your emails – that is, the likelihood of them reaching your subscribers' inboxes – is reflected by the quality of your list. Therefore, it's important to keep your database “clean” by removing subscribers whose email addresses are bouncing or inactive, along with those who aren't opening your emails anymore. Let me put it this way… what would you prefer? A big list of subscribers where only a handful are interested in hearing from you, but many of the emails you send them don't reach them anyway? Most good autoresponder programs will have ways to make it easy for you to clean your database so if you're not sure how to do this, reach out to your autoresponder's support team for guidance. Before long, you'll find that these suggestions have become habits and you'll be doing them automatically, without even thinking about it! 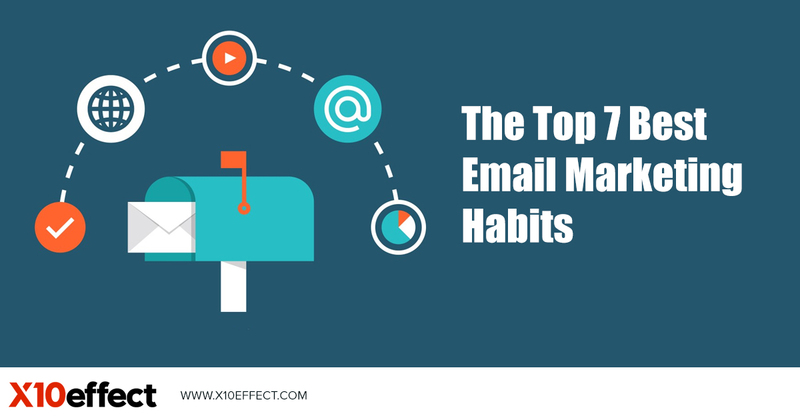 Best of all, you will start to see better results from your email marketing by applying these best email marketing habits. This entry was posted on 07/12/2018 , by Darren Jenkins.